SEATTLE, WA -- On Thursday, April 27, Brooks Running Company crowned Mark Anderson of Cary Grove High School and Gwen Robertson of Issaquah High School as Inspiring Coaches of the Year for providing young runners with a sense of belonging and purpose. Brooks honors Anderson and Robertson as part of its newly expanded Inspiring Coaches program, which now celebrates four coaches each year. Brooks will award each coach gear and funding to further empower their work. "Mark and Gwen represent two distinct examples of the powerful impact coaches can have on young athletes today," said Brooks CEO Jim Weber. "As our first two 2017 Inspiring Coaches of the Year, they exemplify how passion and dedication in running - the most inclusive sport in the world - can create positive, healthy experiences for young runners and our next generation of leaders." As a volunteer for his local chapter of the Special Olympics, Mark Anderson of Cary Grove High School in Cary Grove, Ill., has always known how inclusive and empowering running can be. 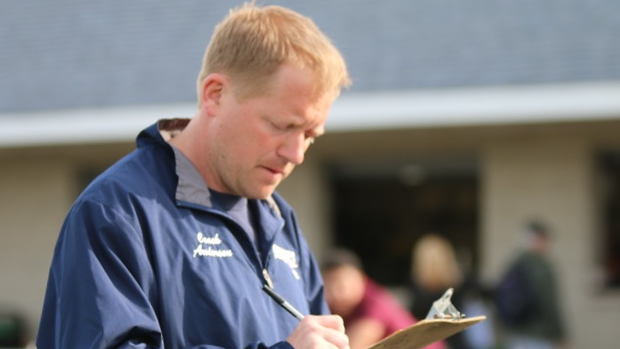 In his 17 years of coaching, he has relied on that understanding as he added girls to the track program, making all teammates feel welcome and providing both a home and a sense of purpose for all. "I am honored Brooks selected me as an Inspiring Coach of the Year and humbled one of my athletes nominated me," said Anderson. "My experience as a high school runner defined and guided me toward a career in education and coaching. My hope has always been that the culture we have created on the Cary Grove track team allows our athletes to have similar positive and defining experiences." Gwen Robertson pays it forward at Issaquah High School in Issaquah, Wash. Thirty-three years ago when she first held a stopwatch and whistle, she had no idea her inspiring words and actions would give rise to new coaches. Today, more than 20 of her former athletes have given or now give back to the sport and to countless young runners as coaches themselves. "Each day I try to help kids make the best of themselves. I've spent a number of years in coaching and have learned what motivates different kids; more than anything, I want them to do their best and enjoy the experience," said Robertson. "Being named a Brooks Inspiring Coach of the Year feels amazing and helps me really put into perspective all the kids and coaches I've had the privilege to work with over the years." To further empower coaches across the country, Brooks expanded its Inspiring Coaches program to reward four coaches each year. In addition to track coaches Robertson and Anderson, the company will also award two cross country coaches in the fall. Each will receive a coveted golden spike trophy, $10,000 in Brooks performance running gear and $2,500 cash for team expenses. They will also receive membership into the Inspire Daily program and a trip for two to the Brooks PR Invitational; the 2017 event will occur June 17 at Shoreline Stadium in Seattle. 2017 is the seventh year Brooks has honored coaches who go above and beyond the call of duty to inspire countless young runners and create lasting change in their communities. Brooks complements the Inspiring Coaches program with another give-back program, the Brooks Booster Club, which provides gear and cash grants to under-resourced high school running teams in the U.S. and Canada. Both programs support Brooks' purpose to inspire everyone to run and be active. Brooks Running Company sells its performance footwear, apparel, sports bras and accessories in more than 50 countries worldwide. Brooks' purpose is to inspire everyone to run and be active by creating innovative gear designed to keep runners running longer, farther and faster. This purpose is supported by Brooks' Run Happy philosophy, a quest to celebrate and champion the sport of running and all runners everywhere. Founded 1914, Brooks is a subsidiary of Berkshire Hathaway Inc. and is headquartered in Seattle. Visit www.brooksrunning.com for more information or follow us on Twitter (@brooksrunning) and Facebook (www.facebook.com/brooksrunning).